A creative minimalist WordPress Theme for creative people which showcase your work in best way. Optimum is a high performance theme it’s help to load your website fast and it’s fully optimize and clean code help search engine to optimize website. Based on Bootstrap. 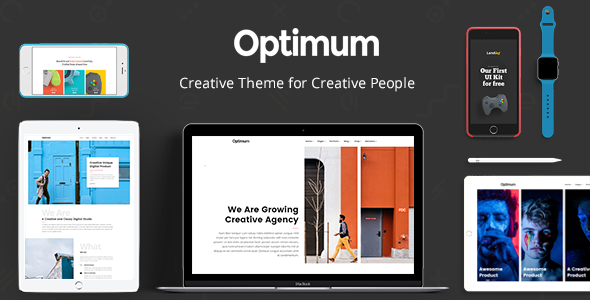 Optimum WordPress theme is best for your portfolio showcase, modern business, agency, photography, creative teams, wordpress blog, resume, personal use, etc.